It's rustic, modern, and functional! If you're looking to shop items similar to the ones I'm featuring in the pic above, browse my curated selection below! Anyways, let's get down to business. 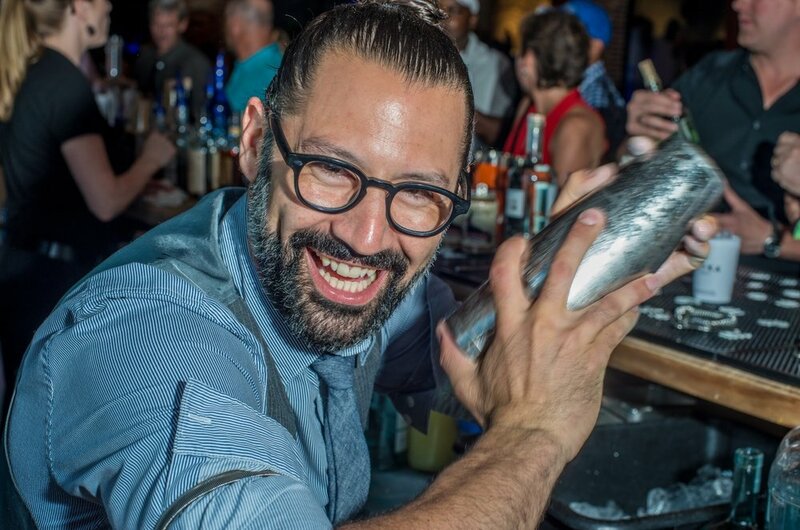 I asked bartender Reyka Vodka (IG: @Reyka_Vodka // FB & TW: @ReykaVodka) Brand Ambassador Trevor Schneider aka @cocktailninja, for advice on essential liquors for my bar cart and he suggested, "Vodka! Specifically, an Icelandic Vodka ;) Vodka is a versatile spirit that can be used in all sorts of cocktails from a 5:1 Vodka Martini to a Bloody Mary to (my favorite drink) an Espresso martini." Combine all the ingredients into a cocktail shaker with ice and shake vigorously. Pour in to a chilled martini glass and serve. In addition, you gotta have: RUM Sailor Jerry (FB: @SailorJerryUS // IG & TW: @SailorJerry) | TEQUILA Milagro Tequila (@MilagroTequila) | WHISKEY Tullamore DEW (@TullamoreDEWUS) | and GIN Hendrick’s Gin (FB: @HendricksGinUS // IG & TW: @HendricksGin). According to the Cocktail Ninja, you gotta "Make it a tall (aka: top it with soda) and use fresh pressed citrus. This is not only super easy but makes for a very refreshing cocktail, perfect for those hot summer days. 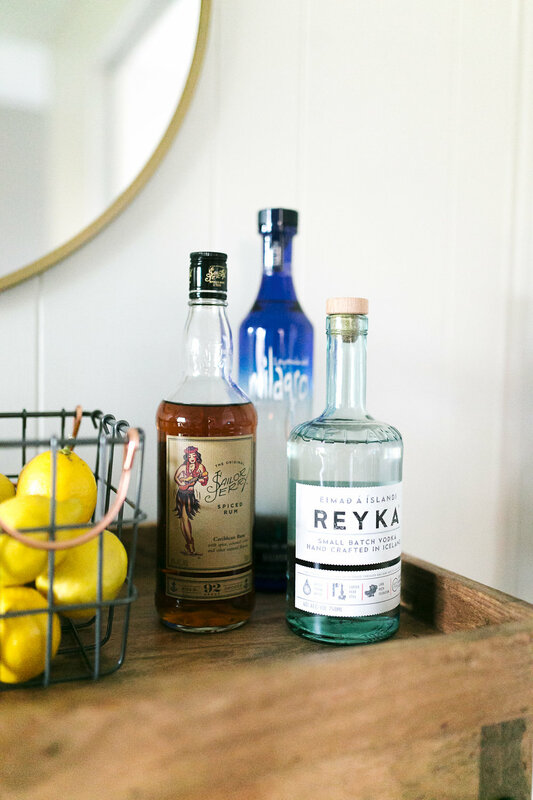 My go-to cocktail this summer is the Reyka Tom Collins." The recipe of Reyka Tom Collins is on the video. Want something more tropical? Try my personal favorite, Mexican Garden Margarita (also featured on the video). *Professional photography by @angiegarciaphoto | I did receive all of the liquors from the respective brands featured. However, all opinions expressed in this blog post are of my own.